Developer W.O. 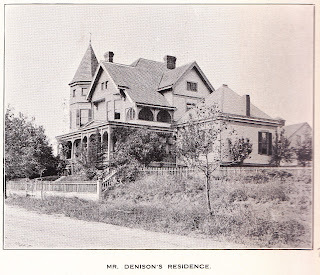 Denison, as he was known, was responsible for developing the Northeast Washington suburbs known as Metropolis View and South Brookland out of the Edgewood estate beginning in the 1880s. He had been born on March 15, 1832 in Elmira, New York. He graduated from Dundee Academy in Dundee, New York, and immediately established a printing business in that town. He moved to Cleveland, Ohio for the opportunity of printing the city’s first city directory. He then moved to Louisville, Kentucky, where he established and ran the Daily Courier newspaper until 1862, when he moved to Washington, DC. Having been appointed a position at the Treasury Department, during the Civil War, Denison served in the Treasury Department Regiment, and participated in the attacks on Washington by General Breckinridge and General Early. He continued to be employed by the Treasury until 1878, when he entered the real estate business in Washington. Denison maintained a real estate and insurance office at 923 F Street, NW, and in 1891 briefly formed a partnership with James W. Sands known as Denison & Sands. Like many in the real estate business at the time when Washington was rapidly expanding, he was the subject a several lawsuits and allegations of hiding profits from purchasers, sellers, and fellow real estate brokers. Denison had married twice, the first time on July 7, 1857 to Georgia Carr, the daughter of Judge Wyatt Carr of Cleveland, Ohio. She died about 1899. His second marriage was to his cousin, Miss Georgeana Booth Armstrong, the widow of Col. Armstrong and the daughter of Edwin Booth, at one time the editor and proprietor of the Columbia Times newspaper in Cincinnati, Ohio. In Washington, William and his first wife resided in 1890 at 2020 R Street, NW, but the following year, they moved into his own Metropolis View development in a house (left) at the corner of 7th and Galena Place (now Girard) Street, NE (later 2900 7th Street, NE). 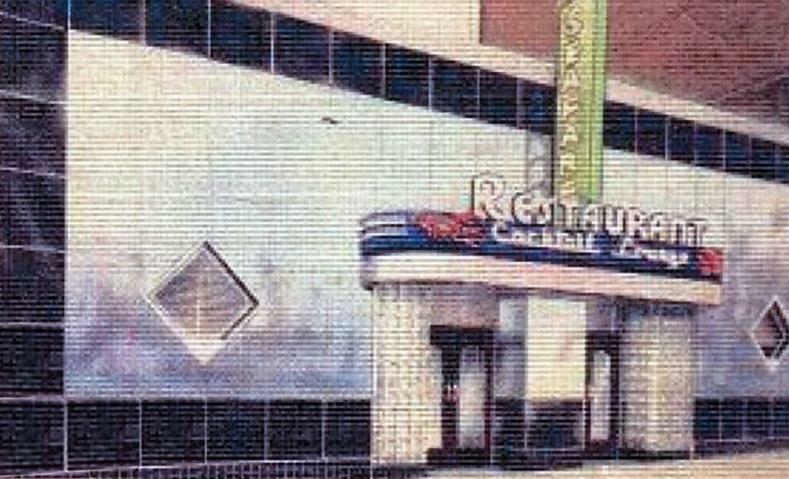 It has since been razed. The area where 2815 6th Street exists today is shown on the 1887 Hopkins Map, below, where one would extend 6th Street to the upper right of the map, just above the Chase estate coined “Edgewood.” An 1888 “Act to Regulate the Subdivision of Land Within the District of Columbia” mandated that newly plotted lots maintain the grid and alphabetic system found within the original boundaries of Washington, which then lay south of Florida Avenue. We're proud to be an contributor to the popular Prince of Petworth Blog (PoP) with a new series of brief "Then & Now" type stories with vintage illustrations. As always, we like to include a little history and research along with our "before" pics, and perhaps even throw in an extra historical image to round things out. The site of the Kennedy Recreation Center, which opened in 2003 along 7th Street between O and P Street in Shaw, has a long and rich history with myriad uses in its past that have been uncovered that range from orchard farming to rowhouses, open markets, schools and recreational facilities. The block was also home to the Central High School from 1882 to 1916. A man by the name of John Saul first rented the entire Square from owner W. W. Corcoran beginning in late 1852 for use as a planting nursery. His plantings included a variety of apple, cherry, plum, and peach trees, in addition to several rows of grapes. He also grew large evergreens, Norway spruces, Japanese and Chinese arborvitae, and Japanese maples and shrubs for his growing landscaping business. Following the destruction of the Northern Liberties Market in 1872 (located where the Carnegie Library now stands), the site operated as a temporary market space for those farmers and merchants awaiting the construction of the O Street Market, which opened in 1881. The 6th Street side of the Square had begun to be built upon for residential purposes as early as the 1870s. The Henry School was apparently the first building on the square, built before 1878, joined a short time later by the Polk School. A Congressional appropriation in 1881 of $80,000 made possible the Central High School building that opened for classes the following year. Interestingly, the funds had been gleaned from various lotteries authorized by Congress between the years 1812 and 1880. The first commencement exercises took place in the building on June 12, 1883. 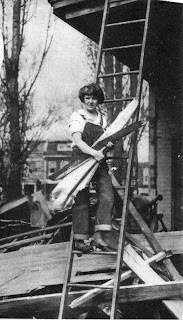 Architect Appleton P. Clark, who eventually design many houses in the immediate area, was part of the graduating class that year. A north wing was added in 1890 that substantially enlarged the facility. 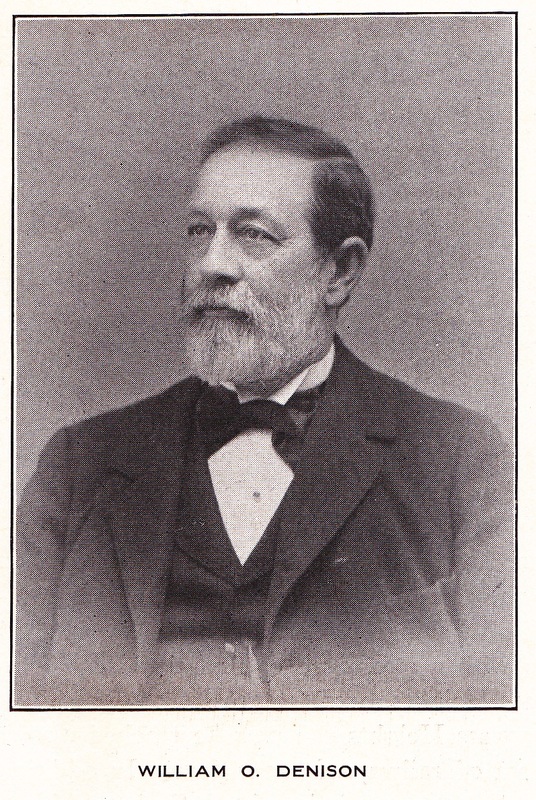 The first Principal of Central was Professor Paul, who met with a tragic and unexpected death shortly after he left his home at 2410 14th Street on March 31, 1888. The Evening Star reported that he had been returning home riding his bike down the 14th Street hill when “he was thrown to the ground by one of Senator Cullum’s horses, ridden by a servant named James M. Chase…the man rode right over Mr. Paul, man and bicycle going over in one heap. The man rode down the hill at full speed. He did not appear to be attempting to check his horse, but was rather urging the animal on.” Paul died a few days later from a broken back. 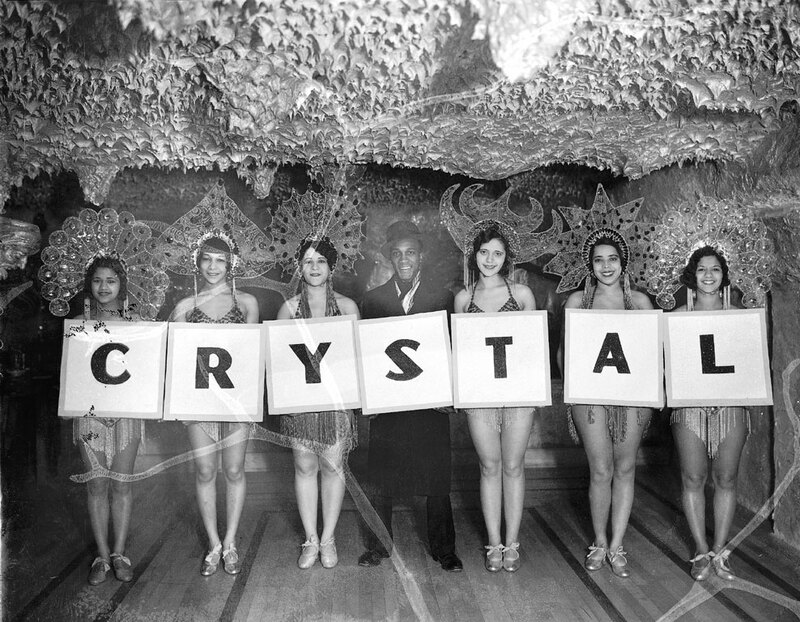 J. Edgar Hoover was perhaps its most infamous graduate, a member of the class of 1913 (right). Dr. Alfred Sze Sao-Ke had graduated in 1897, and later became the Ambassador from China to the U.S.; his parents had been diplomats in Washington, which is why he ended up alum of Central. Other distinguished graduates went on to become Military Generals, CEO’s, Professors, Bank Presidents, and a large and literal “Who’s Who” of Washington society for decades. In 1916, students from old Central moved to the new Central High School Building at 13th and Clifton Streets, where it remained until 1950, when it was renamed Cardozo High School as part of the segregated black school system. The demolition of the old Central High School was part of a city led plan in 1951 to clear the entire Square, including the 18 three-story row houses along 6th Street. The only remaining building by 1952 was the Polk School, then used as a health clinic. The city government went about transforming the site shortly thereafter into a storage facility for the police to store abandoned cars. Ten years later, however, and effort was realized to transform the Square into a spectacular recreational playground. The culmination of the dream of President John F. Kennedy and his brother Robert was a $500,000 playground with a variety of unusual features that opened on June 3, 1964. Its usual playground features such as slides and swing sets were supplanted with items such as a 1888 steam locomotive that had once hauled bananas in Guatemala, an army tank from World War II, three trolleys, an amphibious craft, soapbox racing course, tugboat, two air force jet planes, a Marine obstacle course, and a fire engine. The armed forces had supplied the abandoned military equipment. It had cost the DC government $1.3 million, and another $109,000 per year to maintain the various features, used by 10,000 youngsters that lived within walking distance of the playground. Its fate was sealed during the ongoing debate to find land for a new school to replace “Shameful Shaw” as it was named one of the top location possibilities in 1966, although never realized. The equipment was removed and the site largely used for open field and play grounds. Friends of Kennedy Playground began a successful effort to renovate the site and ensure that the new Kennedy Recreation Center was built and opened in 2003. The unusual house at 2133 R Street, NW often attracts onlookers, curious about the history of the house with a door that could be straight out of a nursery rhyme illustration. Upon closer inspection you might notice that the massive door hinges have the initials ELM – for Edward Lind Morse. The building was built in 1902 as an art studio for Morse. It was designed by the noted architectural firm of Hornblower & Marshall in the Arts and Crafts style. And if you think the artists last name seems familiar, he was the youngest son of inventor and artist himself, Samuel F. B. Morse. 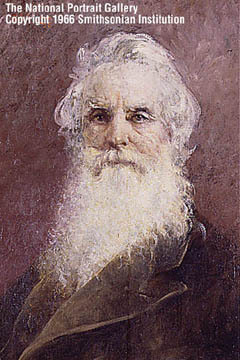 Samuel Finley Breese Morse was a graduate of Yale University in 1810, after which he studied art in England under Benjamin West. He returned to America, and for several years was a portrait painter. In 1832 Morse began working on apparatus that eventually resulted in the invention of the Telegraph, for which he received a patent in 1840. The first message sent over the wire, from Baltimore to Washington, on March 24, 1844, was "What God hath wrought!" Edward Lind Morse was the youngest son of Samuel Morse (1791-1872) and his second wife, the former Sarah Griswold. He was born on March 28, 1957 in Poughkeepsie, New York. He married Charlotte Dunning Wood on July 24, 1884, and following her death in 1898, married Clara Lounsberry on October 16, 1899. 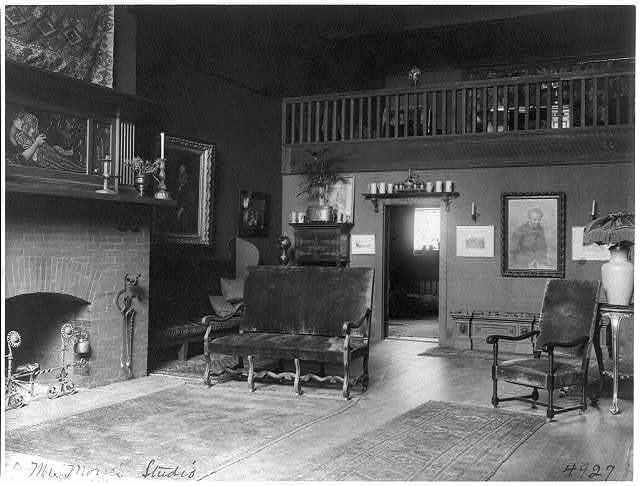 The studio was converted into a residence in 1910. It was owned by Thomas Raymond Ball, and later by Franklin D. Roosevelt’s oldest son James Roosevelt – Franklin & Eleanor lived next door at 2131 R Street. It currently serves as the headquarters of the Delphi Film Foundation. Exterior Pictures courtesy of Flickr user “AgnosticPreachersKid” Interior pictures courtesy Library of Congress, Prints and Photographs Division. Copyright Paul K. Williams. 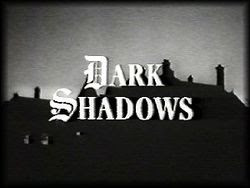 With the opening of Dark Shadows in theaters this week, we take a look at a direct link to the soap opera of the same name and a Washington, DC mansion relocated from Dupont Circle to Newport, Rhode Island. On rare occasion, the history of a house can link even the most bizarre and farfetched of events, people, and places that one can possibly imagine. Would you believe someone that told you that on the very site of the southern escalator entrance to Dupont’s Metro station, a mansion once existed that could directly connect all of the following: a summer mansion in Newport, RI, Spanish stained glass from the sixteenth century, Kentucky “Old Crow” whiskey, the Episcopal Bishop of New York, the first real ‘home theater,’ a televised soap opera featuring vampires, the invention of the telephone, and alleged ghosts roaming the halls of Salve Regina University? Incredible as it seems, it’s true. A mansion that begins these intriguing connections had first been built in the 1870s upon the large triangular lot facing Dupont Circle between Connecticut Avenue and Nineteenth Street by the prominent Galt family, today the site of the Dupont office building. It was sold in the early 1880s to Gardiner Greene Hubbard, whose daughter Mabel married Alexander Graham Bell, inventor of the telephone. In March of 1907, the house was sold for an impressive $166,500 to millionaire Edson J. Bradley and his wife Julia. Bradley was enumerated in New York City in 1880 as a clerk in a wine store, but his fortunes would soon change. Bradley, born in Illinois in 1852, became involved in the whiskey business in Frankfort, Kentucky, and by 1887 he became President of the W.A. Gaines Company, also known as the "Whiskey Trust." 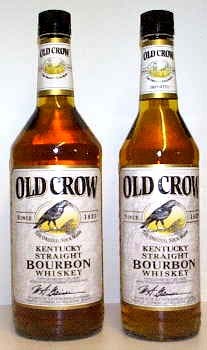 Brands included Old Crow and Old Hermitage, and the company was the largest producers of fine "sour mash" whiskeys in the world. Bradley had good timing, for in 1880 the average American adult consumed 2.4 gallons of hard liquor annually. Modeled after Standard Oil, the Whiskey Trust was bona fide trust so that when a distillery joined the trust it surrendered control of its operations to a board of trustees. Of the 86 distilleries that eventually joined the trust, only about 10 were kept in operation; the remainder were shut down. At its peak, it enjoyed 93% of the market share. Perhaps surprisingly, given its large market share, in January 1895 the trust entered receivership due to low cost competition, but Bradley had already made millions. Edson Bradley was a well known member of the Washington society and was often mentioned in the pages of the local newspapers. 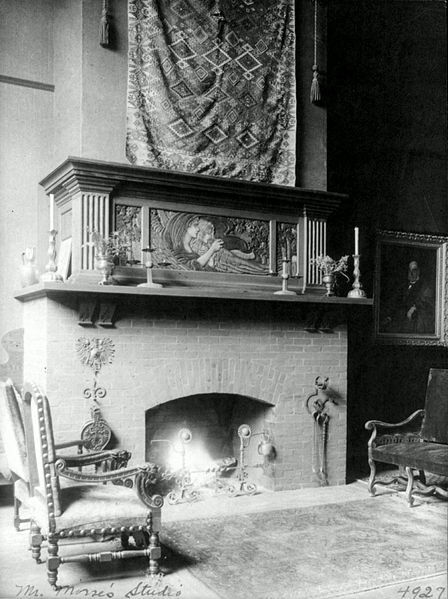 He owned homes in New York and Tuxedo Park, and an apartment at the Stoneleigh Court in Washington. African American entrepreneur and banker John W. Lewis built the building on the northeast corner of 11th and U Streets, NW in 1922. 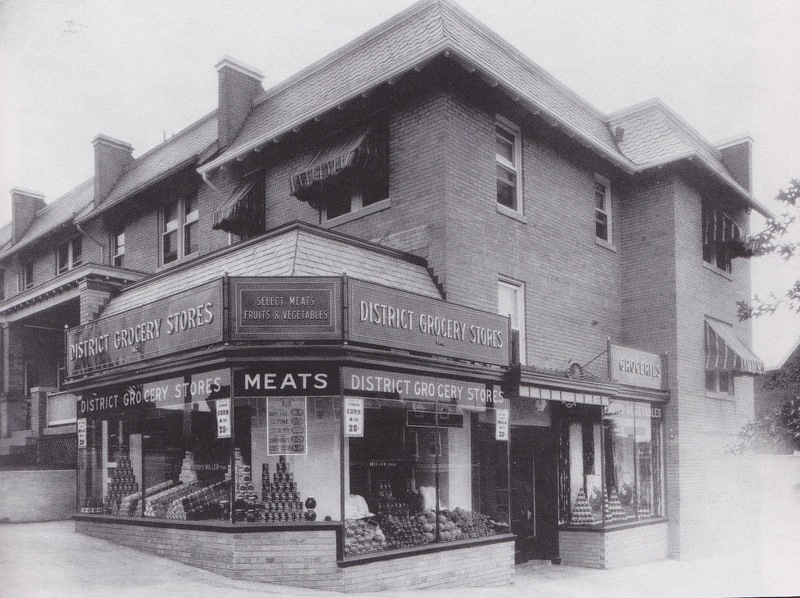 It housed a drug store on the first floor. Only five years earlier, he had the Industrial Savings Bank constructed across the street, of which he was President and founder. 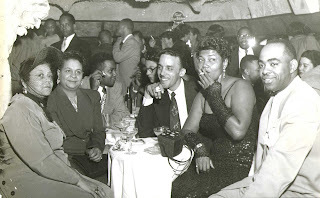 In the boom days from the 1920’s to the 1940’s, U Street was the entertainment capital of black Washington and within its corridors were myriad cabarets, jazz spots, supper clubs, dance halls, and cafes featuring the best African American artists of the day. Operated as a prominent nightclub spot under a variety of names from its opening in 1926 to 1970, the basement at 2001 11th Street reached its zenith peaked in the late 1960’s, when it was known as the “Bohemian Caverns,” standing out as the doyenne of U Street. Its name resonated the theme of faux stalactites and stalagmites that continued as a dramatic decorative theme throughout the various incarnations of nightclubs that would occupy the basement over the next 60 years. 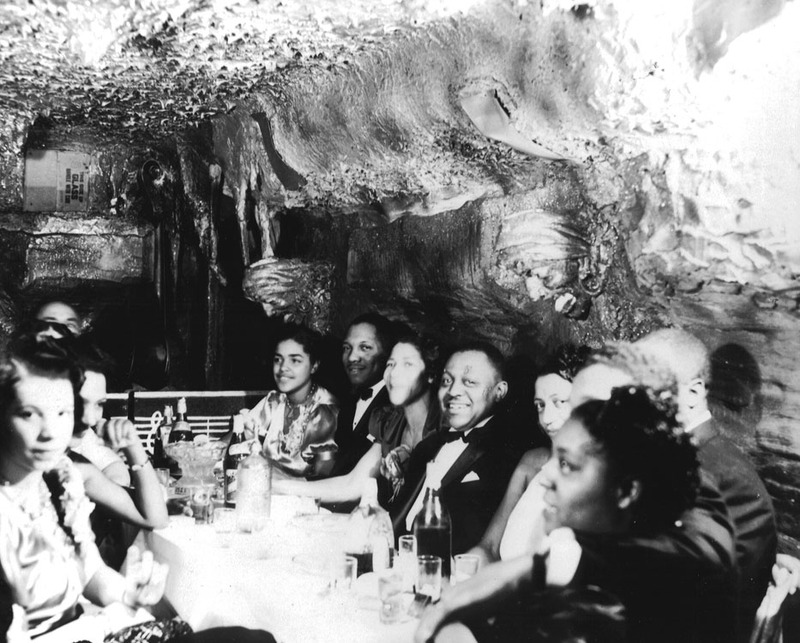 First opened as the Night Club Bohemia, the club was immediately patronized by black Washington’s elite citizens in formal evening dress. Perhaps the best known of the modern “You Street” venues, the nightspot has had a succession of names, each of which appropriately resonant of a particular era. 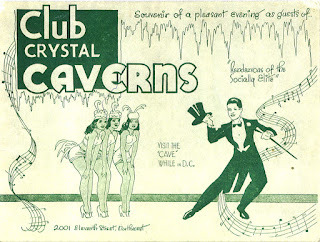 The name of the club changed from Night Club Bohemia to Crystal Caverns, sometimes billed as Club Caverns “the rendezvous of Washington’s Socially Elite.” Later incarnations were a disco club coined the Cave and lastly as the Underground Cafe as late as 1970. It was under the guidance of Tony Taylor, a jazz guru and entrepreneur and something of a legend himself, that the “Caverns” achieved its holy status as a jazz joint. His club has subsequently been memorialized in recordings by artists Ramsey Lewis and Les McCann. It is the appearances by Cannonball, Miles, Trane and Eric Dolphy that are remembered as defining moments in the life of a club whose final chapter was writ in the massive civil insurrection that marked the assassination of Martin Luther King. Another brief blog post due to the looming deadline of my latest book, Lost Washington. It will be done soon! This interesting picture appeared in my book on the history of Georgetown University with co-author Paul O'Neill. Dis you know that GU had a school of dentistry? Thousands of DC residents could visit to have dental needs taken care of at little to no cost: if you trusted a young practicing school student. 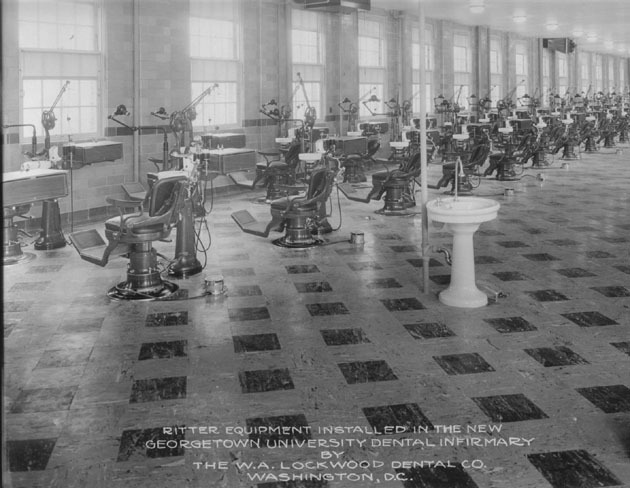 This 1930 photograph shows a multitude of "Ritter" equipment in the Dental Infirmary, part of the new Medical School building. Georgetown's Dental School began in 1901 when the Washington Dental School was acquired and integrated into Georgetown's Medical School. A decision to close the Dental School — the largest private dental school in the nation at the time — was made in 1987 because of a looming "financial disaster" and fears that the school's quality would deteriorate as the number of students going into dentistry plummeted nationwide.